A special thanks to Susan Li a sales associate. We appreciate Susan Li for being very kind and generous toward selling our house. I would like to thank you for successfully marketed my mother's home in Eastwood. It sold within three days! I'm very happy with your premier service and expertise. I am more than happy to recommend you to anyone who wants to sell their house with the least amount of time at the maximum amount of their result! Thank you Susan Li and best wishes for your career for years to come! Susan Li really went out of her to help us and made herslef available to us any hour of day or night. She walked us through all the steps and explained all the various paperwork to us and when it came time to meet with the sellers and their agent to negotiate, Susan handled everything and kept in constant contact with us. We have been praising Susan Li's ability , knowledge, friendly attitude, and overall professionalism since the process began. We recommend Susan Li personally to everyone we talk to who is interested in buying home. Our sincerest, heartfelt thanks to Susan Li for all her hard work and for turning our dream into a reality. Choosing Susan Li as my home buying agent was the smartest and the luckiest decision I could have made in my search for a home. Susan skillfully guided me through the whole process of finding and obtaining a home. Susan was always there to answer any question and solve any problems that I had. For these reasons, I would highly recommend Susan Li to any prospective house buyer. I want to let you know I appreciate your help in finding me my dream home! You have shown a lot of energy and persistence. I am very happy with my new home. I would definitely recommend you to anyone who's a first time homebuyer. Thanks again. 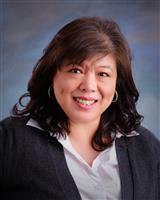 Susan Li is very friendly, highly motivated realtor. We were very pleased with Ms. Li prfessionalism in the selling of our property. Susan is a realtor that clients can trust and depend on for good honesty and skillful professional advice, she is committed to her clients. Thank you for finding us our dream home! You are always there to help us every steps of the way and have gone the extra miles to make sure our home buying process a very pleasant one. We recommend you to anyone who wants to buy a house. Your in good hands with Susan Li.